I add lemon and honey and it's a much better tasting drink. We love this tea in our house, but then we are freaks for anything ginger. 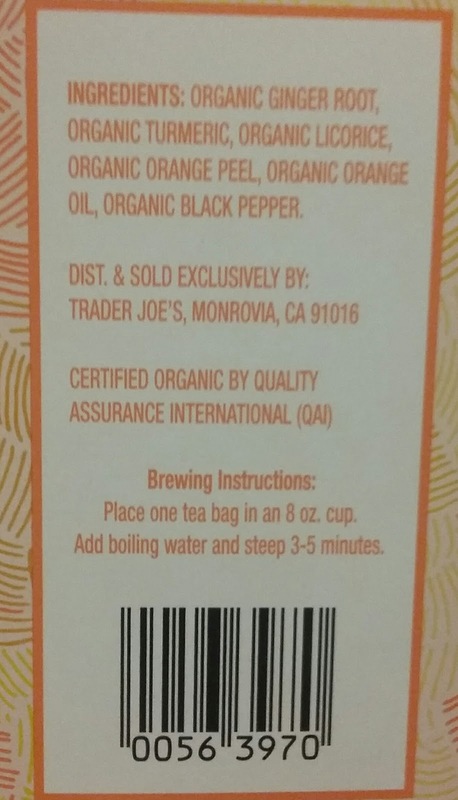 The amount of turmeric in this tea is too small to be taken for "health" benefits, however. It's enough for a little color and flavor, but if you really want to incorporate turmeric in your diet, you need a high potency supplement. My doctor said I could have 1000 mg or less a day. 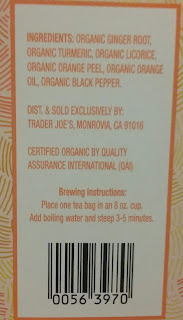 Do you know how many mg the 1 serving of tea has? Oh, wow! Funny how taste is such a personal thing. I absolutely love this tea! In my next visit to TJ I am planning to purchase a few more boxes. 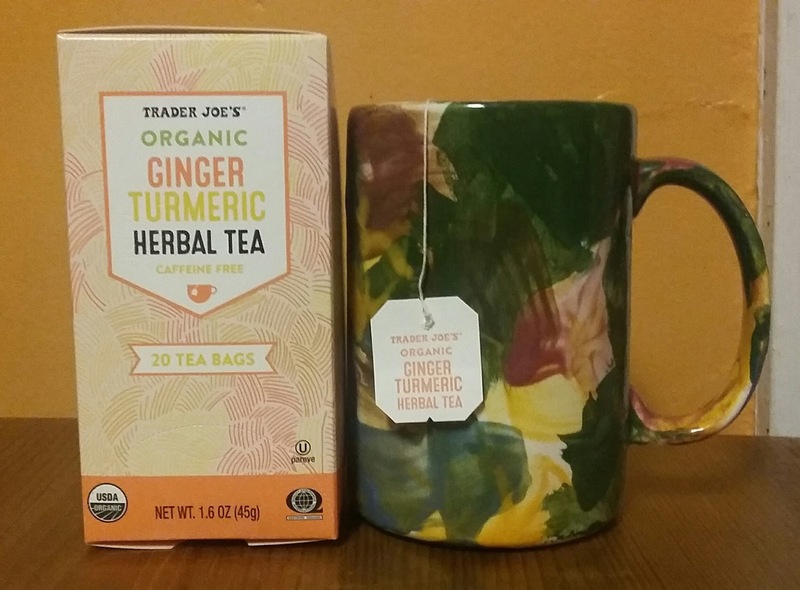 I felt that it was well balanced and I loved the combination of turmeric, ginger and anise. That being said, I can see what you meant about the anise/licorice hitting you in the aftertaste. I think that's a typical licorice behaviour. It usually comes after you right after the last sip. I, for one, love it! Thank you for the review. I always enjoy reading your thoughts and experiences with TJ products. That licorice took a bit of getting used too.But a little lemon and honey helps. The key thing is that you can't let it steep too long -- I love it for the light ginger/tumeric flavor if I only let it steep 30s, but any longer than that and the licorice is overwhelming. Lovely tea but out of stock already and the store says they don't know if it will be back! What happened? Bring it back please! With a bit of the raw agave nectar it kind of tastes like fruity pebbles to me.